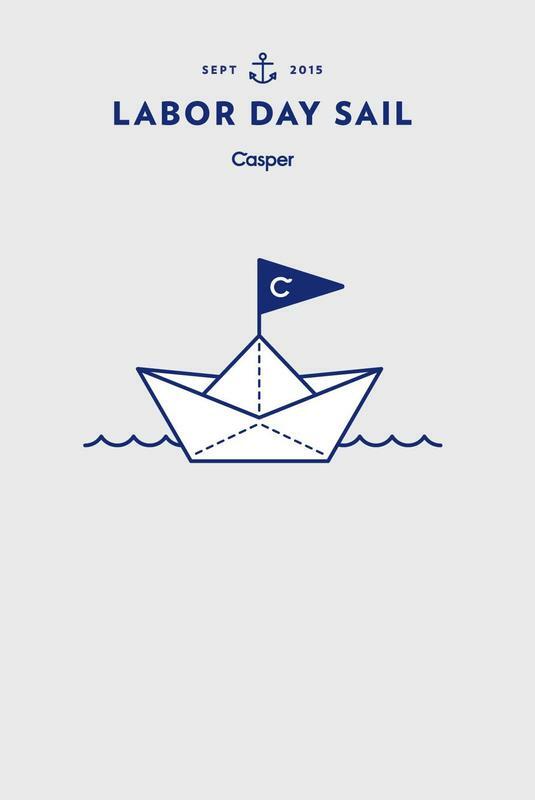 Celebrate Labor Day with Casper by skipping the mattress sale and sailing on the SF Bay. Join us for an open wine and beer bar, unbeatable views, and of course, a Casper to lie on. The 80-foot schooner leaves from Sausalito. We’re hitting the high seas with Casper enthusiasts to celebrate Labor Day. Join us for an open wine and beer bar, unbeatable views, and of course, a Casper to lie on. The 103-foot sailboat leaves from Marina del Rey. This Labor Day, skip the mattress sale and mattress sail down the Hudson. Enjoy an open bar, great views, and yes, a Casper to lie on. The 105-foot sailboat departs from Battery Park, SLIP 2. Don’t spend Labor Day in a stuffy mattress showroom. Instead, spend it sailing Lake Michigan with fellow Casper fans. Enjoy an open bar, great views, and of course, a Casper to lie on. The ship departs from Navy Pier - docked about halfway down the pier on the South dock. Spend Labour Day with Casper sailing Lake Ontario. Take in the breathtaking views from the comfort of a Casper mattress while enjoying an open bar. The 93-foot sailboat departs from the Le Germain Hotel.